If you smell gas, leave the house and call the gas company or the fire department. They will let you know when it is safe to return home after they check for leaks. One easy task that extends the life of your furnace is replacing the air filter twice per year. Your gas furnace’s filter catches dust and lint to prevent it from ending up in the furnace. Such particles, when introduced to the gas furnace cause breakdowns. In addition, it can cause a lot of sneezing, as the dust gets recirculated through the home. Keep your furnace in good working order with this simple, fairly low-cost task. Usually, the filter is easy to locate and replace. On a gas furnace, look for the filter between the blower’s door. It might also be found between the blower and the return air duct. While you may need to pry the door ever so slightly to open it with a screwdriver, it is easy to get to the air filter. When you see it it might appear dank, grayish, and dirty compared to the new one you install. Pay attention to the direction that your filter faces, and make sure that you install the new filter in the same direction as the old one. Did you know that despite your best efforts to have a filter in place, debris still will get through to the furnace? That means periodically it can stand to be cleaned. The blower assembly needs to be cleaned, along with the pulleys and the belts. Do this at the same time you replace the filter. Access this area through the panel that covers up the filter, or by sliding out the fan unit. These could be held in place with screws. Be ginger in your application of force and be mindful of the screws. Clean the area with a damp cloth. Get your furnace inspected and serviced yearly to ensure that it is running efficiently. This is one reliable way to fend off expensive problems. A professional performs this work and is best completed at the tail end of the heating season. You might want to have your air conditioning or HVAC inspected at the same time, so you only need to adhere to one appointment per year. 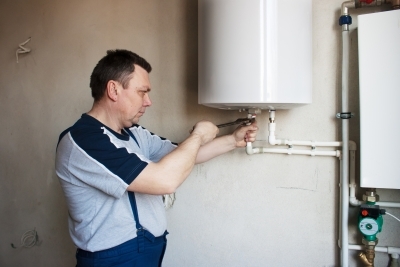 Keep up with performing proper maintenance to keep your gas furnace in working order for as long as it can. It will help you to get the most out of your furnace.